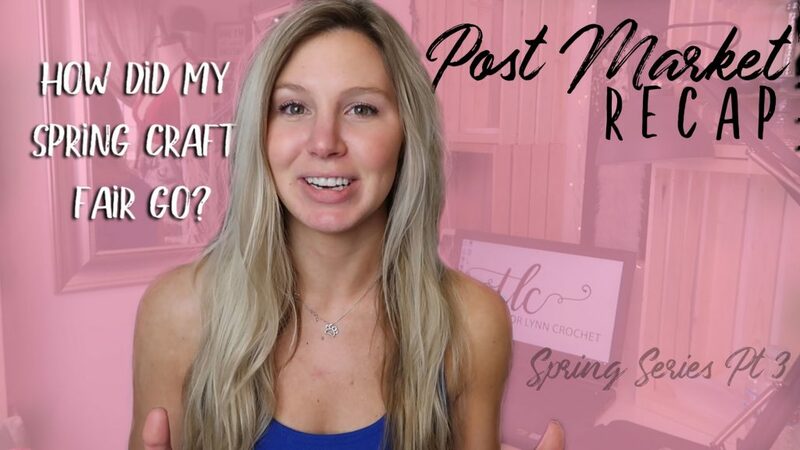 Part 2 in my spring craft market series is now here! Check out the you-tube video below to see what market day is like. I show you the setup and breakdown of my booth as well as some in between craft market stuff. I seriously love setting up my booth space at markets. It brings me the most joy and I would love to hear what you guys all think of the setup I used at this market! 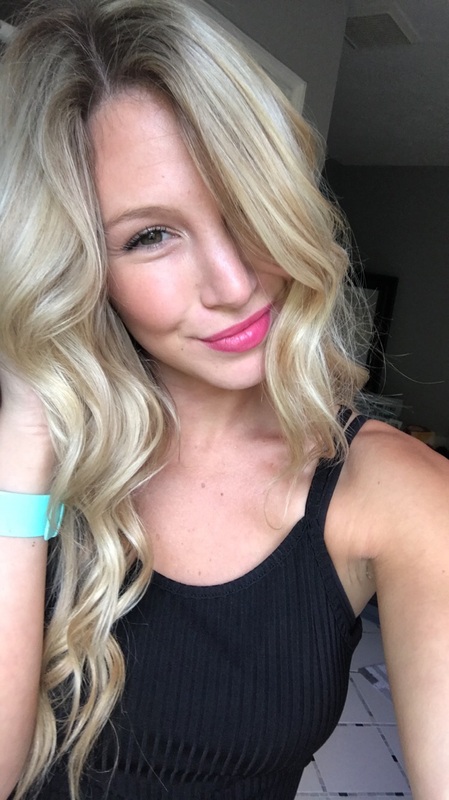 I love hearing from you guys so if you have any questions about markets or just want to say hi, leave a comment below! I hope you guys love this video! If you haven’t checked out part 1 of this craft market series head over to my last post. That video shows you what I brought with me, why I brought it, and how much I brought. Part 3 is a recap of the market and will hopefully be out sometime this week! Coming into this market we only had 2 hours to setup, which is 1 hour less than we normally have with these markets (merchant & makers markets generally have a 3 hour setup window). So I was a little worried about setting up since last time I was setting up right into that 3 hour mark and this time my booth space was twice as big (16 x 8 vs 8 x 8 previously). I did manage to setup in time, but I was setting up right up to the last minute. In the video you guys can see me setting up a table and switching it three times, and me re-organizing my crate wall and getting Trevor’s opinion. It is totally normal to question your setup as you’re doing it but just remember that it isn’t the end of the world if its not 100% perfect. My booth was located in the corner of the market. If you were walking into the markets front entrance I was on the back left corner. Normally corner spots are amazing, but I didn’t have anyone on one of my sides which meant a lot of people turn the inside corner and didn’t even walk next to or into my booth. There will be markets that you don’t get the best spots, and don’t think its intentional. The amazing people who put on these markets do everything in their power to please everyone, customers and vendors. When I first got my spot, I was pumped about it! When the market started I realized that with the layout of the rest of the vendors that it actually put me at a disadvantage and none of us could have predicted that. While I didn’t have a ton of sales at this market, scrunchies and towel toppers did seem to be my hottest items. Ironically those two items sell to very different age groups. Most of my towel toppers sold to women 30 and up, while scrunchies were sold to girls 18 and under. There was quite a mix in age of market attendees. A lot of moms or grandmas with younger kids. What do towel toppers and scrunchies have in common? They are both items listed at $10 or less. 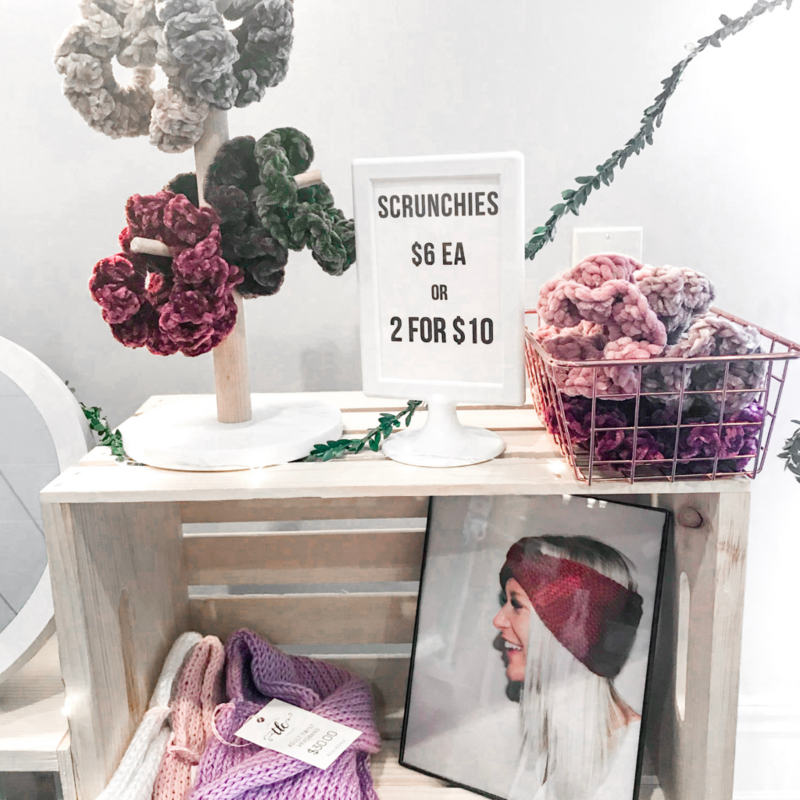 While most people bought towel toppers in pairs since then they got the 2 for $16 price vs the $9 per price, scrunchies sold in singles this time. Either way, this tells me that spring market goers are interested in small, lower cost buys. 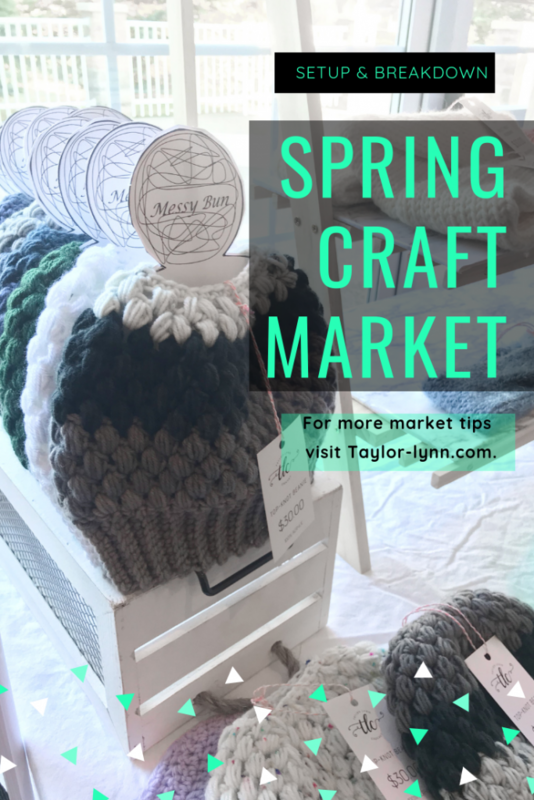 So if you’re considering a spring craft market, make quick small makes that you can price a little lower (but still making a decent profit margin), in order to maximize your sales. I don’t see myself doing another spring market, but the jury is still out about summer markets. I am thinking mid to late summer may still be a great time for me to try another market. That time of the year will be closer to fall which as knitwear/crochet makers, that is our sweet spot. It will be almost fall but still summer, so I can bring all my items and maybe hit both the summer buyers and the fall buyers. If you’re reading this and are not bummed and don’t want to do a spring market, stop. 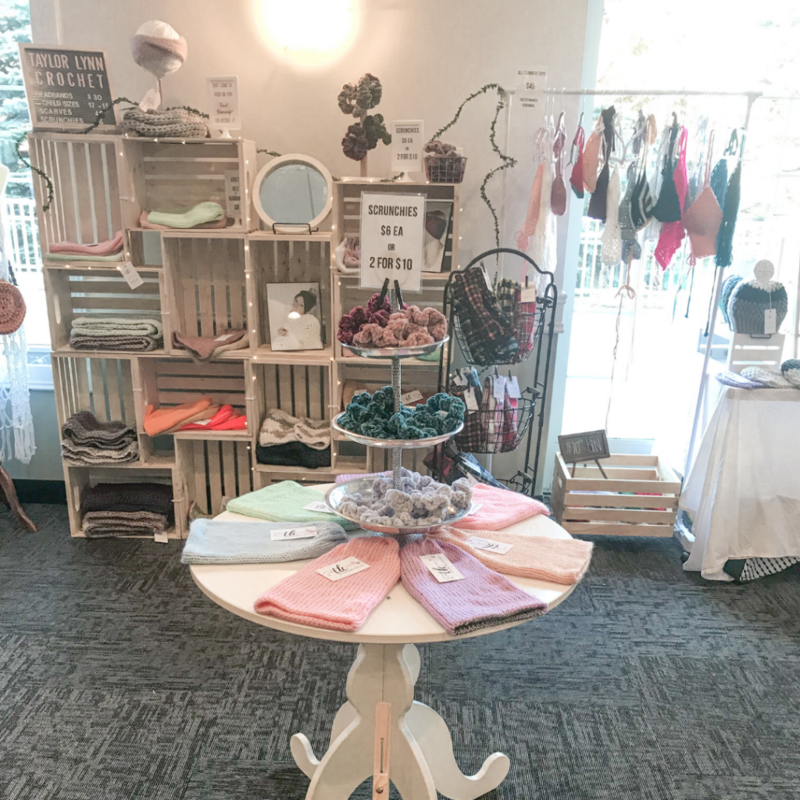 You can totally do a spring market and it be a huge success! I live in Michigan. It is cold here, it was literally snowing during this market. The location I was at could have affected the customer base it drew in, therefore affecting what they were willing to spend their money on. You very well could be in a prime area for spring markets to thrive so please still try at least one before counting them out! So this post was a little more behind part 1 because Ashley of A Crafty Concept and I have just launched our brand new collab Ash & Tay! I have been so busy getting that together, that I am playing a little catch up. If you want to see what Ash & Tay is all about check out my youtube video on it! 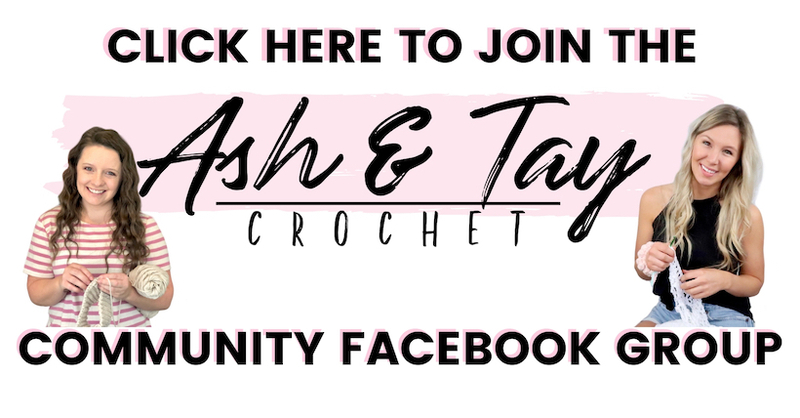 Also come join the Ash & Tay community Facebook Group!